In the era of technology, being streetsmart translates as being Googlesmart. People are hardly spending time on the streets… they use them just to commute from one spot to another. The concept of streetsmart means to have qualities of resourcefulness and experience in various aspects of living. People cannot such experience from books, which is why the concept of being booksmart is the opposite to this one. However, the notion that people who are booksmart have no knowledge of real life is entirely wrong. To my impression, that is a myth created by people who failed academically. I believe that , who was exploring the cancer-fighting potential of a single nanoparticle in high school, is more resourceful than someone who only picks up skills and information from the street or from Google. I also believe that she is not just booksmart. For people to reach their full potential, they need books, but they also need to explore that information further. From that perspective, Google is a quite relevant source of knowledge. We need a combination of both textbooks and Google to be both booksmart and resourceful. 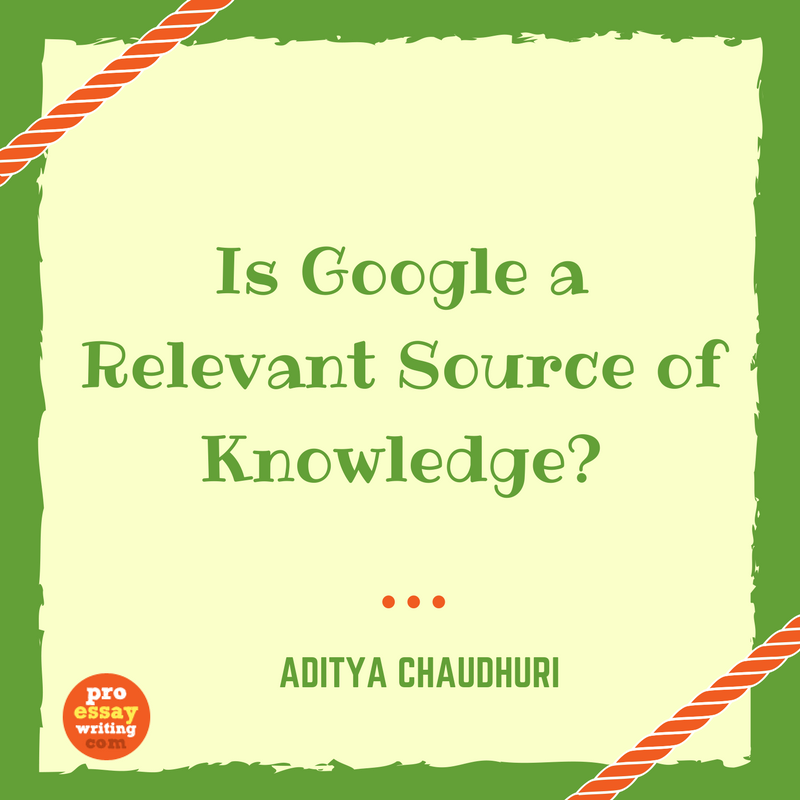 To explain why I think that Google is a relevant source of information and knowledge, I will start with my opinion on the traditional education based on books. Such education does not teach the students how to think. I want to learn how to be intelligent and how to implement the knowledge that's one click away. I don't need someone teaching me geography, history, physics, and biology. The things that a physics professor can teach are instantly available through Google. I can get access to online lectures from top universities… lectures I can pause, contemplate on, and continue with after having a snack. If there's something I don't understand, I will use Google to get more information. Online education has a huge advantage because it is flexible and individual. People can choose what to learn, how to learn, and how they will use that knowledge in real life. They can adjust the learning process to their own needs and get the results they aim at. I think that the traditional educational concept is forcing students to learn things they won't use in their lives. We don't need a physics professor showing us plastic models of atoms when we can we can see videos about The Large Hadron Collider on YouTube. If we're interested in philosophy, we can watch a free lecture by Shelly Kagan… on YouTube. We don't need the geography textbook to tell us that Lake Baikal is 5,387 ft deep. That dry piece of information, accompanied with a single photo on the page, doesn't mean much to the student. When he types Lake Baikal on Google, however, he has access to a whole new world of information. That doesn't mean that schools are unnecessary. Education is an important stage of every person's development. If children were freely left to gain knowledge solely through online sources, we would risk seeing them wasting time on games and social media. There is nothing wrong with having excess information. However, the educational system is making that information impersonal, lifeless, and dry. The students cannot process that information intuitively, so they have to memorize it because they need it for the tests. My utopian envisioning of education does not involve memorizing any kind of information. We don't need some textbook writers serving ready-to-digest details that are hard to connect with reality. We need wisdom. We cannot be educated into it, but the school can inspire us to seek wisdom, peace, and knowledge about the secrets of life. In a way, the teacher should be a spiritual guru to his students. They should teach them how to use that shiny technology not as an obstacle to reach discipline, but as an endless source of knowledge. One of the main purposes of traditional education is to teach people to spend long periods of time focusing on tasks that are not interesting. The lifeless information in textbooks is a huge challenge for students with short attention spans. The Internet may impose the danger of procrastination, but will also serve an ocean of relevant information. If that approach is combined with the traditional curriculum, the students won't feel forced to memorize boring details. Booksmart and Googlesmart seem like completely opposite concepts, but they can be perfectly combined in an ideal educational system. The students will keep relying on textbooks and information represented by the teachers, but they will also gain the quality of resourcefulness, thanks to Google. A truly accomplished person has relatively different abilities in different areas. Some people are good mathematicians, but have poor social skills. Others are good at music, and some students have average skills in many things. In my opinion, the ideal schooling system is based on a combined approach that serves the basic information through textbooks but also allows students to explore the world of knowledge accessible through Google. This search engine can lead to irrelevant information and a waste of time, but it's a teacher's role to train students how to use it properly.